2018 the Economic Relations Division ofthe Ministry of Finance of the People’s Republic of Bangladesh and the KfW Development Bank acting on behalf of the German Federal Government has signed a Loan Agreement of EUR 90 million to finance safe drinking water supply forDhaka citizens. 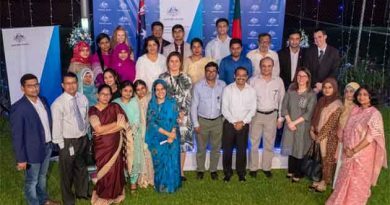 Germany has teamed up with other major European Development Partners-the French AFD, the Danish DANIDA, the European Investment Bank and the EU.This joint European – Bangladeshi programme is called in short “Saidabad III”. The project will be implemented by the Dhaka Water Supply and Sewerage Company (DWASA). It will ensure that in future, the water for 8 million people in Dhaka will be safe and reliable. Once this project is implemented, the present sources of water(groundwater and the highly polluted Sitalakhya River) will be replaced by water taken from the mighty Meghna River near Haria, Narayanganj, about 26 km in the East of Dhaka. From Haria, the raw water will be pumped to the Saidabad Water Treatment Plant, where an additional, third water treatment plant will be constructed, increasing the water production by 450,000 m³ per day to daily production of 900,000 m³. Theovera ll project costs are expected to be aboutEUR 570out of which the Government of Bangladesh will provide EUR 140 million. The preparation of the project is already ongoing. Actual construction works are expected to start in 2020. At the same time the Government of Bangladesh has undertaken a crucial step to protect the water quality of the Meghna River: The Prime Minister’s Office has mandated the drafting of a Master Plan to control pollution and use the Meghna River as a safe water source. 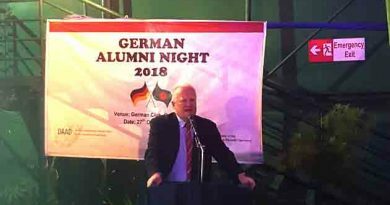 Germany has a long history in supporting development in Bangladesh. Since 1972,the total commitments of Financial and Technical Cooperation from the German Government amount to approx. EUR 2.5 Billion. Since 2014,German Financial Cooperation has supported projects to helpcities adapt to Climate Change. So far almost EUR 37 million has been committed and is under implementation. The loan for Saidabad III is the largest commitment by the German government through KfW for the urban development sector in Bangladesh. 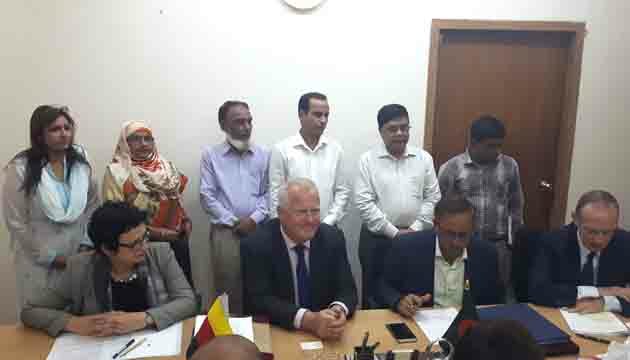 The signing ceremony was attended, among others, by Mr. Kazi Shofiqul Azam, Senior Secretary and Mr. Khalilur Rahman, Chief (Europe Wing), both ERD, Ministry of Finance, H.E. Ms. Marie-Annick Bourdin, and H.E. Mr. Peter Fahrenholtz, Ambassadors of France and Germany, respectively, Ms. Caren Blume, Deputy Head of Development Cooperation, German Embassy and Ms. Regina Maria Schneider, Director of the KfW Regional Office for Bangladesh and Nepal and Ms. Quamrun Nahar Laily, Superintending Engineer and Project Director for Saidabad III, DWASA. ← Bangladesh is a role model in climate change adaptation : Former UN Secretary General Ban Ki-moon . 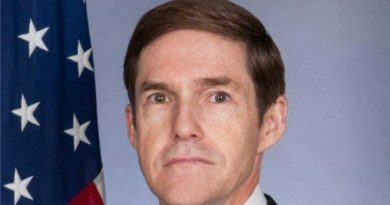 Newly appointed US Ambassador to Bangladesh Earl R Miller is scheduled to arrive here on November 18 .